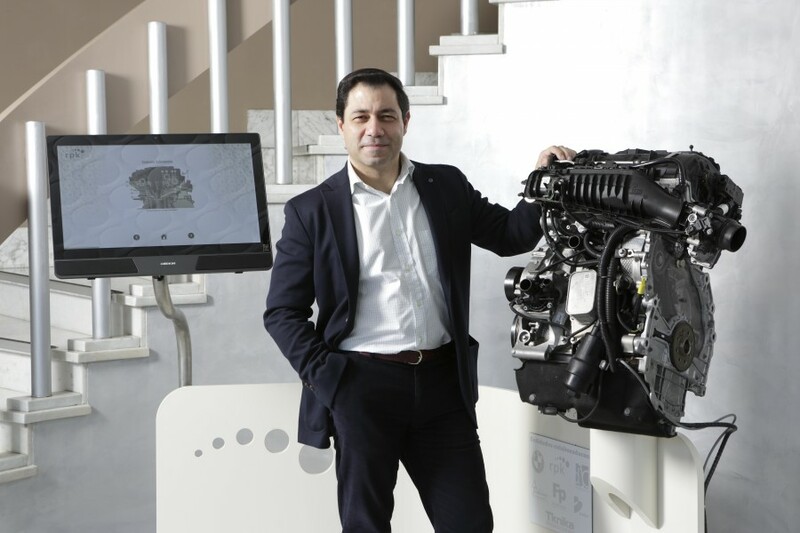 Javier Gordo holds a degree in Engineering from the University of Bilbao and used to be the quality director of the RPK Group. Last summer he became the Director of the recently inaugurated RPK Technological Center. He has collaborated on different projects in engineering centres of RPK customers and we would like to take the opportunity of his appointment to find out a little more about our colleague and his intentions at the helm of the new RPK Technological Center. 1- How long have you been working at RPK and what was your initial reason for choosing this project? I have been working at RPK since the year 2000, so it has been 16 years, which have gone quite quickly. Throughout my professional career I have been in different departments and had different responsibilities, from engineering to my last position as Quality Director. It was really my engineering vocation that was one of my fundamental reasons for deciding to be able to develop this project, along with the full conviction that our organisation needed to take this step and I was eager to get this project off the ground. 2- What goals have you set yourself as director of the Technological Center, at both an individual and a collective level? At an individual level, the goals I have set myself are to keep growing professionally, to be able to meet the new challenges that the future will bring. Also, to make RPK Technological Center a reference point for innovation. To do this, we need to consider the joint goals of being at the forefront of knowledge of our products, both new and current, and of current and future applications in everything that surrounds us and is required of us by both clients and the RPK Group itself. This means we will in a constant learning process, to provide good quality in the services we can provide at all levels. 3- How can the RPK customers benefit from an initiative like this? It is anticipated that the work of this Technology Center will obtain more efficient products and processes that adapt to the new needs of our customers. There are several key lines of action in collaboration with our customers that are already bearing fruit. 4- How are you going to collaborate with the subsidiaries of the RPK Group? All the work being carried out is two-way between the Center and the plants, ensuring they are standardised from the detection of the needs to the implementation of the solution. We understand that the needs that arise in any of the markets may be the future needs of others. In line with this reflection, we have already developed different production equipment for specific projects in subsidiaries that could be implemented in the parent company in the medium term. This will enable us to take advantage of economies of scale principally in the field of R&D+i, in the development of new process and production equipment. 5- Which aspects have you been working on most since the launch of the Technological Center? What have been the biggest achievements up to now? We have been basically working on configuring the team of people that make up the Technological Center and on the implementation of the various components/machines that have been set up in the laboratory. This has enabled us to provide different services that until very recently we could not. It is evident that there is still a long way to go and that the whole team has to adapt. From my point of view one of our achievements has been that we have started to feel like a team. 6- In the people that make up the Technological Center, what qualities would you highlight? What are their strong points as a team? In this team I would highlight the extensive experience and technical training they have, I believe we have a great human capital with a clear vocation for innovation and plenty of drive to make this project beneficial for the RPK Group.